I’ve chosen a potentially controversial topic for my first post of the year. My holiday reading was a massive pile of books relating to education, brain science, neuro-plasticity, music and talent. The reading list was in part compiled last year when I had attended the ASME Conference (Australian Society for Music Education) in Canberra. I have been saying for some time now that I’m not sure whether I believe in talent, since over the years that I have been teaching, I have seen precociously ‘talented’ children drop out and less ‘talented’ children improve and succeed over a long period of time. 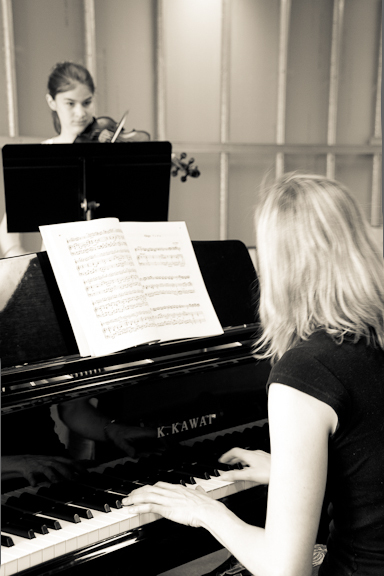 I always find it difficult to answer parents when they ask about the child’s potential, since on many occasions I have seen a child who I may not have considered particularly able, slog away and keep coming back year after year and eventually start to play musically and gain increasingly high grades in exams. I am finding support for this very concept in the work of Dr Carol Dweck, in her book “MINDSET” which is subtitled ‘The New Psychology of Success’. My first opinion was that the book looks like a jargonish self-help book, but once I started reading, this belief was dispelled. The book is based on scientific research, and it only backs up the ideas that I have been pondering. I am a positive thinker (for the most part, anyway) and I believe that an important part of my job is to instil confidence and self-belief into my students. I truly believe that anything is possible, with effort and diligence, and this fits with Dr Dweck’s research. There are apparently two main mindsets – fixed and growth. Fixed mindset people tend to think that we have finite talent and abilities, while in the growth mindset people see that improvement, change and transformation are possible. For the fixed mindset, failure is catastrophic, since it can destroy all sense of self and success, while those with the growth mindset always see the opportunity for future growth. What gives me hope is knowing that I definitely used to have a fixed mindset. I spent my childhood needing to be the best, and feeling distraught if that didn’t happen. It was always preferable not to try and blitz a test, than to work really hard and get a mediocre mark. I have no idea when the change occurred, but I am now very much of the growth mindset, although not in all areas of my life. Reflecting on all of this, I still believe that I am not very sporty or coordinated. So my challenge to myself is to extend the growth mindset to all areas of my life. I definitely believe that I have changed and can continue to, intellectually, spiritually, musically, relationally, so my next challenge is pertaining to physical skills. And how does this relate to music? To me, this just proves that no education is ever wasted. Perhaps we will not all end up concert musicians, but certainly these skills will improve our coordination, intellect and quality of life. The joy of playing music, whether alone, but particularly in ensemble, can only enrich our lives. And one more thing the neuroscience is teaching us is that music creates more pathways in the brain, so here’s another reason to keep up the lessons and practise! One of the joys of my life and work is the opportunity to daily speak into young people’s lives. I love hearing my students’ dreams and hopes for the future. Sometimes they are musical, sometimes not. There is one family in which I teach both boys. They come tearing in every Monday, words tumbling over each other as they rush to tell me of their successes (and rare failures) on the cricket pitch the day before. I love how much it means to them to share this part of their lives with me. I have no clue about cricket, but I feel that reciprocity is important in our relationship – I share my love of music; they share their love of sport. I think that all of those reality/talent shows (Australia’s Got Talent/The Voice/X-Factor etc etc etc) have a lot to answer for, but they can be useful in igniting children’s passion for achieving musical goals. I love it when my students see a certain act and say “I could do that!” Then it is my job to impart the skills and help them to achieve that goal. The more I teach, the more I realise that my job is about more than just teaching piano. I am not a psychologist, but I am realising more and more that music (and indeed life itself) is often governed by one’s mindset. Why is it that for those who complain “These things always seem to happen to me” or “I’m such a clutz; I’m always injuring myself“, that these words do tend to come true? Why is it that some people are more resilient? Some more about to cope with life’s little speed-bumps? Some get completely bogged down by the past? I do not know the answers to these questions, but more and more I am realising that my thought life does have some bearing on my reality. I am also realising that while I am not psychic, I can clearly see my student’s thoughts affecting their ability to play. A student who sighs and decides before they start playing that they are no good at this piece, will probably not play well. Increasingly as I listen to mistakes and then ask later what the student was thinking, the response is “That I was coming up to the hard bit that I can’t do“, or “That this was so much better before the lesson“. Another part of learning to play music is learning to gain discipline over our thought life. I am terrible at this myself, and can find myself during my own recital, daydreaming about what I am having for dinner. Thus part of the discipline required is to stay on task, in the moment. Another part of the required discipline is practising positivity. I don’t allow the word “can’t” in my studio, because if you say you can’t, I believe that you are defeated before you begin. It is important to reframe our thoughts, and I encourage students to say “This is a tricky bit, but I am going to give it my best effort“. Over the past few weeks, I have accompanied students for over a dozen HSC music exams, and over forty AMEB instrumental examinations. As a piano student, I never knew of accompanists or their roles in exams, as my examinations were a solitary affair. For all other exams though, the student needs accompaniment for several of their pieces, to show that they can play in ensemble, and to more correctly represent the solo with harmonic accompaniment. When I sat for my 7th Grade piano exam, the examiner actually wrote in my report that I could be a good accompanist. For years I took this as an insult (along the lines of ‘Those who can’t, teach‘), but now I actually work as an accompanist, a role which I love, and realise that it is a skill which is highly specialised and extremely challenging. Well, the unexpected is quite stressful! Students are prone to memory lapses when nervous, and I have had children leave out anything from a few notes to a few pages. What have I learnt about performing and what pointers can I share? Enjoy! Exams can be extremely stressful, particularly when students are putting themselves under undue pressure to succeed. After months or years of preparation, there is no more to be done on the day than a last practice, then to try to enjoy the exam, as nothing else can now be changed. If you do make a mistake during the exam (or concert), move on. Don’t spend the rest of the time punishing yourself or thinking about it, or things could quite easily spiral into more mistakes and memory lapses. Performance is very much a mental game (why else do elite athletes now come with their own psychologists?) and like sport, can be won or lost in the mind. Once it’s over, nothing can be changed. Of course it’s helpful to know where improvements might be made, but to obsess over one wrong scale or one missed sharp is to lose sight of the big picture – a lot more went right than went wrong. Learn what you can change. What is in your power to change for next time? Nerves will probably always be a slight factor, but students can practise in performance settings. If not enough practice was done and the mark reflected this, then do more practice next time! Try to embrace the experience and celebrate the successes. A B+ grade is not a fail. Be proud of your achievements. I am preaching to myself here too. Many times I have lost sleep the night after a recital, as I am so angry at myself and disappointed about one mistake. I have had to learn how to put this in perspective and to remind myself that the mistake maybe took one second in a one hour concert. This is hardly a failure. Music is to be enjoyed. Sure, exams are helpful to provide markers and motivation to succeed and progress, but they should never completely overtake the enjoyment of learning for its own sake.